MIAMI BEACH, FL - JANUARY 22: Heidi Klum will file for divorce from Seal ... TMZ has learned. Sources with direct knowledge tell TMZ ... Heidi will file divorce papers in L.A. County Superior Court as early as next week. We're told Heidi will cite "irreconcilable differences" as the cause for the divorce. The couple married May 10, 2005. They have 3 biological kids. 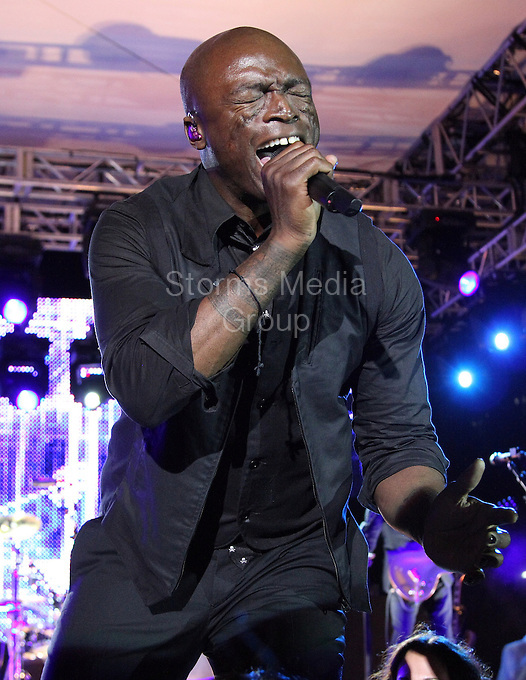 Seal adopted Heidi's eldest girl from a prior relationship. The couple is famous for renewing their vows every year on their anniversary ... in a lavish ceremony. As for splitting up the goodies, there's a lot on the line. According to Forbes, in the last year alone, Klum raked in $20 million. It's unclear how much Seal made.